What’s new at Sugar Fix Dental Loft you ask? Lots, actually! We are so happy to inform you that Dr. Jessica T. Emery has recently installed a brand new state of the art CEREC Omnicam in her Lakeview office. What in the world is that you wonder? Only the best 3D imaging device ever! Digital dentistry has never been easier or more technically advanced. 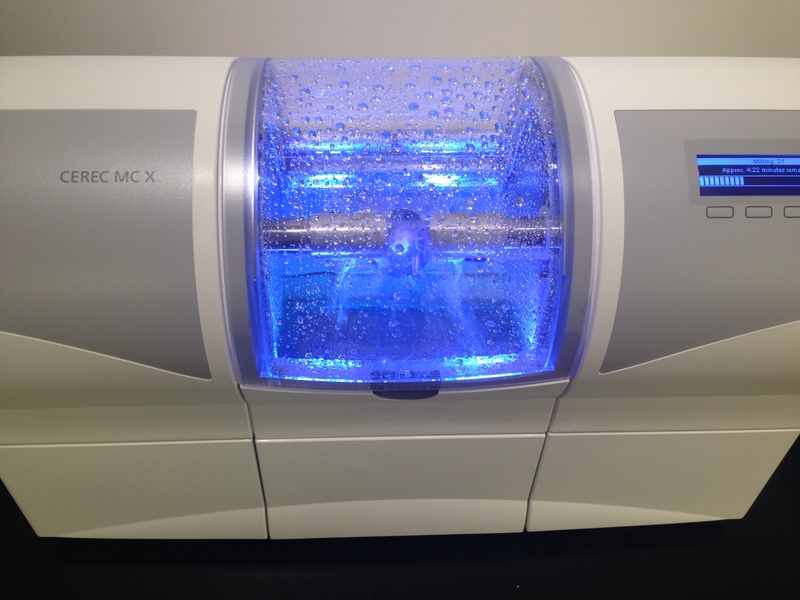 Chicago’s Sugar Fix Dental Loft now has the most cutting edge scanner on the market and we want to share it’s insane capabilities with our wonderful patients. Scan, design, mill. Three easy steps for creating dental restorations and prostheses such as crowns, crown lays, veneers, inlays and onlays, fixed bridges, dental implant restorations and removable or fixed dentures. The CEREC Omnicam is the ultimate device for intraoral imaging. Aesthetic restorations have never been created faster. In fact, all-ceramic restorations can be completed in one visit. All Dr. Emery has to do is place the camera over the relevant area in your mouth and the scan starts automatically. The actual camera head is about the size of your pinky finger’s nail bed. The scanning process is quite simple, really. Dr. Emery moves the camera tip over your teeth in a continuous flow while data is generated into a three dimensional model. The capturing of data from the scan begins automatically. One of the most impressive features of this CAD/CAM system is the live color streaming. The CEREC Omnicam has a color rendering imaging system that analyzes the colors of tissue, enamel, dentine, gold, amalgam (material in silver tooth fillings) and composite on molars. As soon as the tooth structure is recognized by the camera, a 3D image is created on the right side of the computer monitor as the live stream appears on the left. As the camera moves over your teeth, a virtual image is displayed in full color with crisp clarity on the screen. The goal is to fill in any wholes in the model appearing on the right side. Think about a coloring book and how you want to fill in all the blank spaces. Painting by numbers, anyone? No void shall be left unfilled. Life in technicolor is so much better than boring black and white. Wouldn’t you agree? The Omnicam’s color differentiation allows patients can view the scanned image of their teeth and gums in three dimensions. To see everything color coded helps you to better understand what Dr. Emery is doing. It’s truly a win-win situation all around, folks. Admit it. We’ve all thought to ourselves at one point in time while lying back in the dentist’s chair, “What are they doing back there?” Well, in this case you won’t have to wonder what’s going on behind your back. By utilizing the CEREC Omnicam at her Chicago dental practice, Dr. Emery is able to educate her patients on what is happening inside their mouths. The camera, software material and milling machine that comprises the Omnicam are revolutionary. The resulting 3D images are precise and appear in natural color. You might have a tiny amount of bleeding on your gums that isn’t noticeable when you look in the mirror. After a scan with the Omnicam (it rhymes! ), Dr. Emery can show you where the nick is located. Contact Sugar Fix Dental Loft today and find out how you can be in and out the door in a single visit when you need a new crown or implant. Gone are the days of multiple appointments, molds, impressions, temporaries, fittings and yet more appointments. Another plus? Dr. Emery can stop scanning at any time and when ready to resume, pick up right where she left off. Need a bathroom break mid-scan? Not a problem! Have to sneeze? You get the idea.